A stylish and classic timber patio in Perth can transform your property for the better with minimal fuss and interference. There are countless designs and shapes to choose from when considering a timber patio, which can be made to stand out or seamlessly blend into your homes current structure. 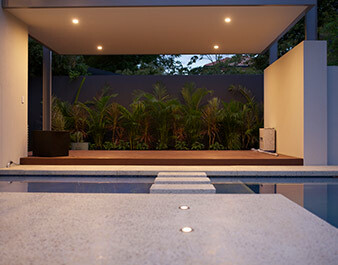 Here at Sustain we are committed to helping you realise your dream of creating your own personal oasis. Whether the project is centred on creating a place for family to come together, or a relaxing addition to the house where you can come and wind down, we can help you create it. An advantage to working with timber is the great versatility you can achieve with it. You can construct a timber patio in almost any shape and often when the design gets more complicated, the timber placement becomes more intricate and beautiful. This translates into a beautiful statement piece for your home, which will add value and character to the property in the future. 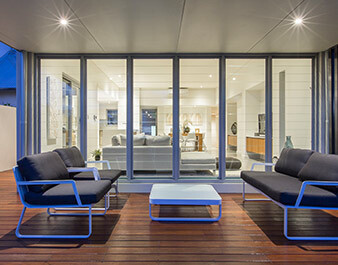 As well as being an extremely adaptable and long lasting building material, timber adds familiar warmth to a patio that is unique to natural materials. Additionally, if you choose to use a sustainable or ethical source for the timber, timber patios can also be an environmentally responsible choice. Why not go ahead and add a timber deck to your new timber patio and create a cohesive theme for the outdoor entertaining area. For more details on the full range of timber patio services we provide, don’t hesitate to contact us. We’re always happy to take time and discuss both the visual and functional objectives of your design and how Sustain can best help you reach those goals.